Hello! Mel from Doxie Mel Designs here with a Pizza Treat! 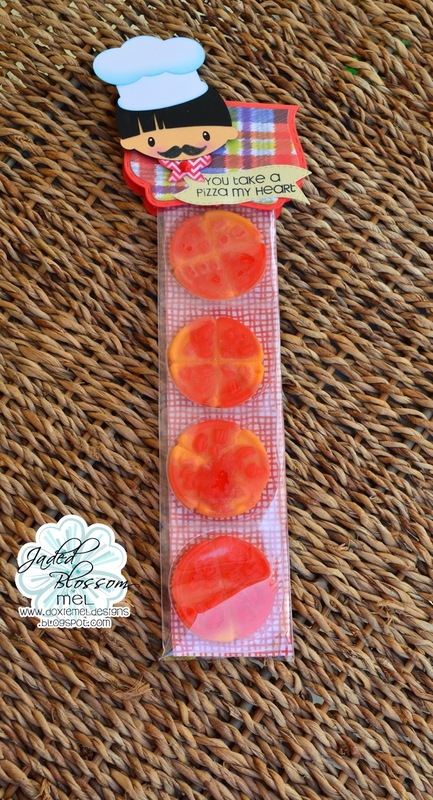 I found the gummy pizza at The Wal Mart of all places. They are Ninja Turtle Pizzas but I took the turtle power pizza wrappers off and slid them in a treat bag from Jaded Blossom. 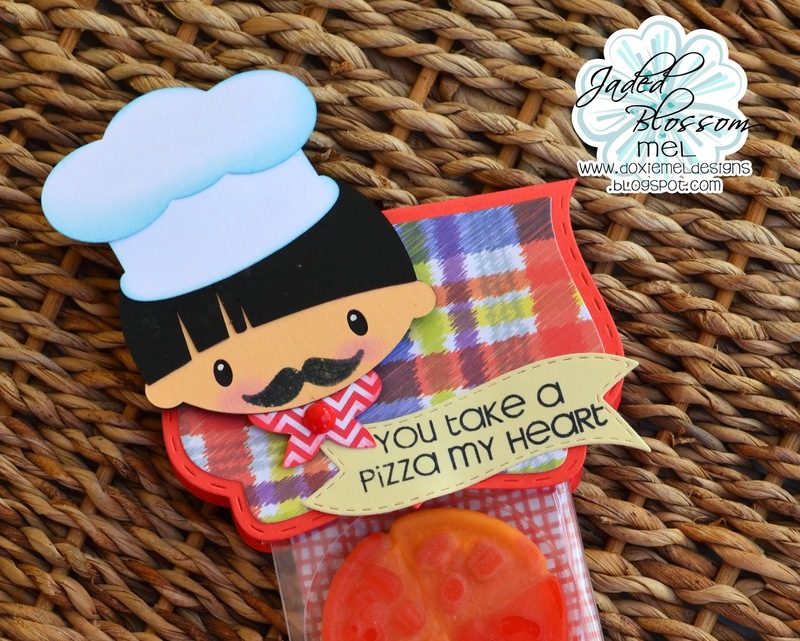 The pizza chef is from SVG Cutting Files and I added a cute mustache stamp from the Turkey Poop set. OMG! So darling! Love the sentiment!